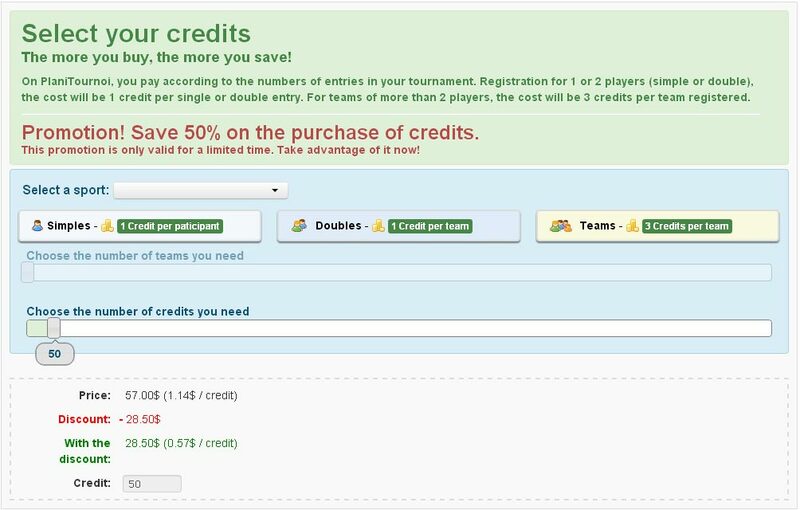 Manage multiple tournaments with one account. Easy to use and intuitive, quickly and easily manage all your tournaments! Buy credits at wholesale prices!